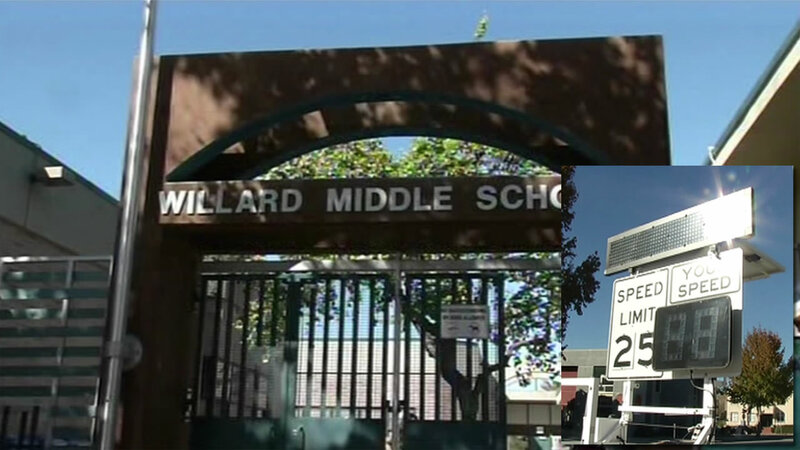 BERKELEY, Calif. (KGO) -- Berkeley police are using a license plate reader as part of their investigation into multiple attempted child abductions near Willard Middle School. The LPR camera is attached to a trailer that shows drivers the speed limit. Investigators say they parked it in front of the school. Police say there have been five attempted child abductions in Berkeley since September. They say the suspect's vehicle is a black, full-sized cargo van with no side or rear windows.